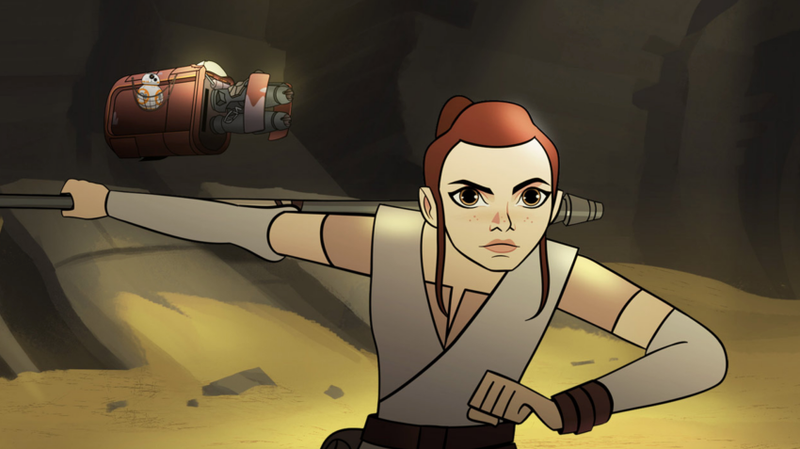 Disney and Lucasfilm have started this year’s Star Wars Celebration on the right foot, announcing a new series of animated shorts called Forces of Destiny... all about some of Star Wars’ most iconic female characters, with several of the actresses reprising their starring roles. Star Wars Forces of Destiny, which launches in July, will be a series of 2-3 minute animated shorts on Disney’s YouTube channel, followed by a two-part TV special this fall on the Disney Channel that includes eight extra shorts. The shorts feature stories about Rey, Jyn Erso, Sabine Wren, and Ahsoka Tano, among others (like Princess Leia), with Maz Kanata serving as the narrator. Several of the original actresses have voiced their roles for the animated series, including Daisy Ridley, Felicity Jones, and Lupita Nyong’o. You can watch the first peek below. Even though Padme Amidala isn’t mentioned by name in the article or the video on Twitter (an omission fans noticed), it looks like she’ll hopefully get a story of her own in the series, given her inclusion on a Forces of Destiny book cover. In fact, Disney is planning a whole line of merchandise around the micro-series, including a new line of “Adventure Figures,” which Disney is calling a fusion of traditional dolls and action figures. While the article doesn’t openly state that the series is only focused on female characters, it’s clear that’s exactly where Forces of Destiny is starting from, and it seems like a great choice. Star Wars suffered from a lack of female representation for a long time. The latest films, and shows like The Clone Wars, have introduced strong female characters to the canon that all kids can relate to. 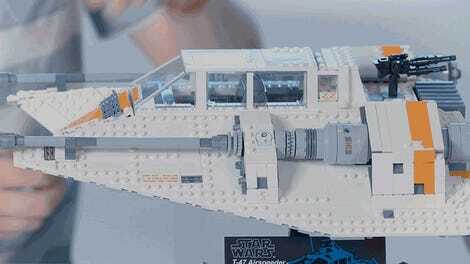 Star Wars Celebration kicks off today and continues through Saturday. Here’s a peek at what we’re hoping is in store.